Torus is the result of a merger between Golden Gates Housing Trust (GGHT) and Helena Partnerships. Based in the Mid-Mersey region and North West, with 22,000 properties, Torus combines the very best of two local, community led landlords. Torus is committed to delivering urban and social regeneration, accelerating regional growth and contributing towards a sustainable economy. 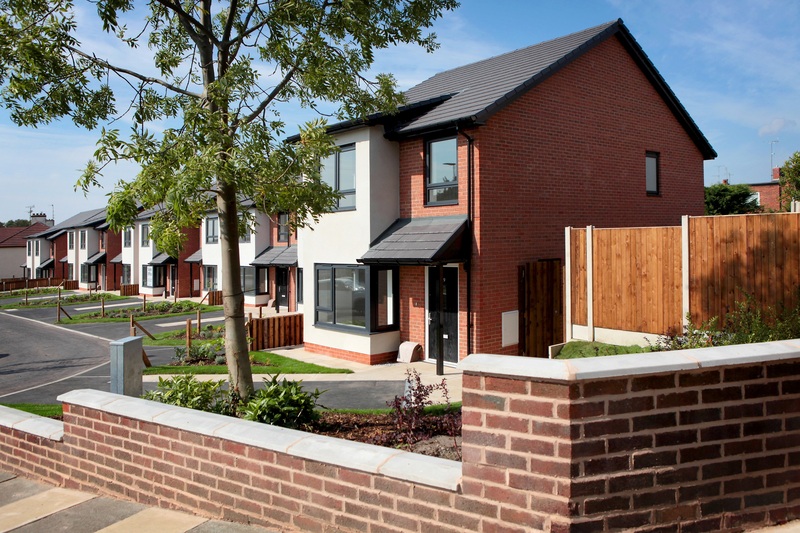 Each affordable home built contributes £90,972 to the local economy, creates 2.1 jobs and delivers a lasting impact on the regional economy and infrastructure. Continual reinvestment in properties and communities enables Torus to tackle inequality in employment, skills, health, digital access, financial wellbeing and fuel poverty. In total, more than £3.5M of sustainable cost savings were made. This was largely achievable through a reduction in repairs and maintenance costs. Vantage helped Torus to address the tensions and division that had developed between the client and contractor. They removed a whole layer of unnecessary activities and helped Torus work smarter, making savings and delivering an improved service to customers. Continual reinvestment in properties and communities enables Torus to tackle inequality in employment, skills, health, digital access, financial well-being and fuel poverty. Torus had a fairly traditional relationship between the client and contractor. It wasn’t collaborative and at times it could be adversarial. They had recently changed over from operating a trading account to a direct account, but the culture was still stuck. The asset management team were, in effect, treating the internal DLO team as if they were an external company and they retained responsibility for areas of work that were better suited to be managed by the contractor. This created a hostile environment and they lost sight of the fact that they are all on the same team. One good example of this practise in action was around the management of voids. When a property became empty, Torus sent three different people to the property, a locksmith to change the locks, a property surveyor to carry out the void survey and a gas engineer to cap the gas. The team in the office were then waiting for feedback from those three people and this caused delays. Torus knew that they needed to make changes in the way they were operating if they were to release any savings. They knew that the culture of the company needed to change but they didn’t know how to get there. Vantage carried out a grass roots appraisal of the asset management team and the DLO and made a number of suggestions based on our experience working with other RPs with similar working practises. Vantage gave Torus the tools and language to effectively explain to the different teams, why they were making these changes. Staff quickly realised that they were not trying to make a profit from the DLO, but rather, that they wanted to deliver a fantastic service. For this to work they had to strip out all the unnecessary activity and time-wasting. Once everyone understood what they were doing, why they were doing it and that a number of the pressures around non-valuable activity had been removed, they really got behind the initiative and supported the changes. Taking the example of void management, Vantage recommended that Torus trained up the gas engineer to change the locks and complete the void survey. Rather than three different people going out to the property, they were only waiting on one. This reduced their turnover time on voids and their costs. This was just one of many time and cost saving initiatives that Vantage introduced. In summary, as a result of Vantage’s work, the relationship between the client and contractor has never been better, staff feel empowered and Torus was able to reduce operating costs by £3.5M. This gave them surpluses to invest in existing homes and building new ones. Leave us a message and we'll get back to you as soon as we can.